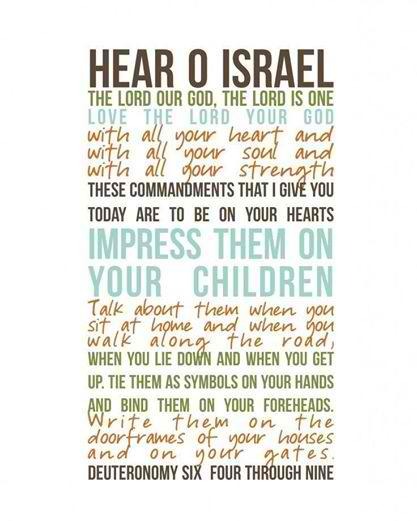 Image | This entry was posted in A Thought... and tagged commandments, Deuteronomy 6, heart, love, Love God, shema, soul. Bookmark the permalink. 2 Responses to Impress them on your children! This is the foundational law for home schooling. Any other “communal” system of learning is against the Law of God. Refreshing words of sanity !